Modern Mississauga presents Ask The City - What type of salt is used during snow clearing operations? Today’s question is about salting roads. What type of salt is used during snow clearing operations? The City of Mississauga salts roads based on winter maintenance service levels. The City uses rock salt (sodium chloride) to prevent snow from bonding to the surface of roads, on-street bike lanes, roadside multi-use trails, priority sidewalks and bus stops. When the temperature dips below -7 degrees Celsius, the City may switch to a treated salt (magnesium chloride) which is more effective in colder temperatures. The City of Mississauga’s goal is to maintain road safety and limit the impact of salt on the environment. 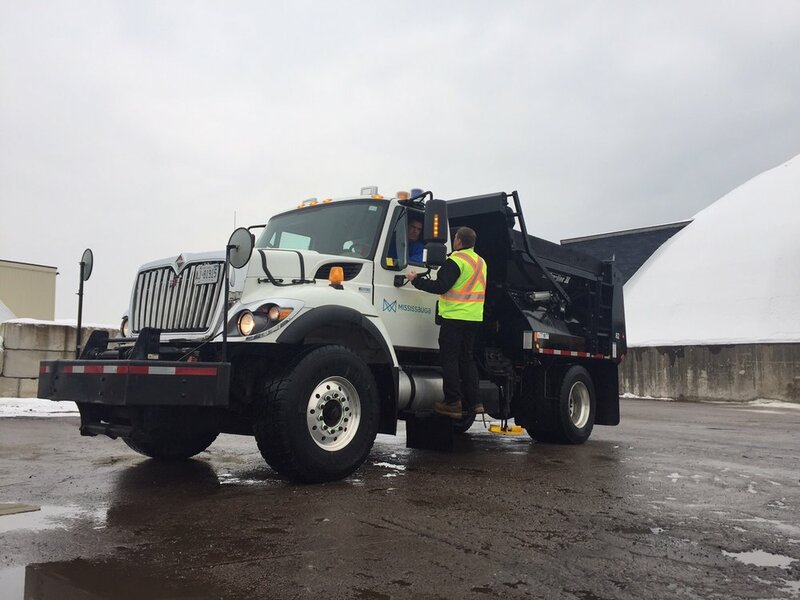 The City’s winter maintenance staff uses advanced weather monitoring, road patrols, training and on-board technology to guide its storm response. It ensures that the right amount of salt is used in the right place and at the right time. For more information about the City’s winter maintenance program, visit mississauga.ca/snow.